Good water quality is essential for a healthy aquarium. With the Colombo maintenance system the maintenance of your aquarium is made easy and simple. Make a 20% water change every fortnight and add Colombo Bacto Care according to the instructions on the packaging. Bacto Care contains living filter and water purifying bacteria. These bacteria are essential for the biological equilibrium in the aquarium and help to keep the water clean and healthy. In the week in between the water change, add Colombo Aqua Care. 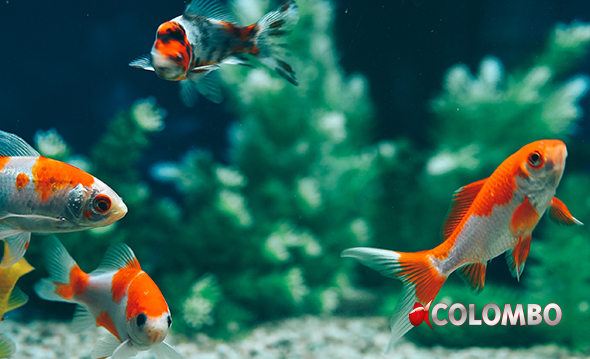 Colombo Aqua Care keeps your aquarium clean and clear in a natural way. The decomposition of nutrients such as nitrates and phosphates is stimulated in a biological way. Meanwhile the water quality is stabilized and improved. Aqua Care will only give best results when used every fortnight in between the water changes. Test the water every month and correct if needed. Platys and other livebearers such as guppy’s and sword tails are tropical fish species that will do better is especially prepared aquarium water. For this reason has Colombo has developed Platy Care. Besides purifying ingredients such as natural polymers Platy care also contains nourishing ingredients such as vitamins and minerals. The most interesting ingredient however, is the extract of the Catappa leafs. Catappa leafs are used already for decades in South East Asia to prevent fish diseases. Colombo has developed a method for extraction of the beneficial substances from the catappa leafs which enables us to add them to Platy care to benefit from the beneficial capacities of Catappa. Problems with algae are not very common in aquariums where the amount of plants, nutrients and light are in balance. If Algae does become a problem, Colombo No Algae offers a reliable solution. By reducing the Phosphate content of the water Algae growth is reduced quick and effective.